Business credit card advantages are varied, but essentially it provides a small business an unsecured amount of capital, with no restrictions on how it is used. Should a business owner only use this option for general expenses or should it be combined with the use of a bank debit card as well? While each type of business and its owner are different, examining the differences between the two will provide us some guidance. Let’s take a look at the business credit card advantages (and disadvantages) versus a bank debit card to help guide your decision which type of card would be best for your business. A quick scan of the Internet provides ample evidence that credit card companies want small business financing. For example, www.creditcard.com has more than 20 featured credit card providers, each with their own promotions and incentives. All offer some type of “rewards program”, introductory bonus and some with introductory interest rates. Since most small businesses have a single banking relationship, your selection of a bank debit card is limited to ONE. When you use a business credit card you are essentially “borrowing” money from the card issuing financial institution with an agreement to repay the borrowed money at a later date. The interest rate is the “cost” of borrowing this capital. If you repay the borrowed money prior to a specific repayment date, there is no interest expense. Not all small business owners have the discipline to repay the entire borrowed balance, hence often interest costs are incurred. If you need to stagger payments, to balance your business cash flow, you will incur interest expense. In contrast, when you use a bank debit card, you are immediately deducting money from your business bank account. This gives you complete control over your spending budget and ensures that you do not spend funds that you do not have (unless you have an overdraft protection). This requires more purchase discipline since there is no “extra funds”. Also, since banks are in the business of making money, often there will be a transaction fee for using a bank debit card. There is no option to stagger payments, hence no flexibility for cash flow management. Advantage: Business credit card , if you are disciplined to repay prior to the repayment date or have need for cash flow management. Bank debit card otherwise. Due to merchant processing fees, some retail businesses do not accept credit card payments. Cash is still KING. For the rest, retail businesses accept both business credit cards and bank debit cards equally. Online electronic purchases however is an entirely different world that you need to consider. Shopping online exposes you to certain risks, especially the risk that your card information will be stolen by hackers. Since your bank debit card pulls funds directly from business checking account, if your debit card information is stolen, you can expect fraudulent purchases and your checking account to be drained, This will occur quickly and immediately place your business at significant risk. 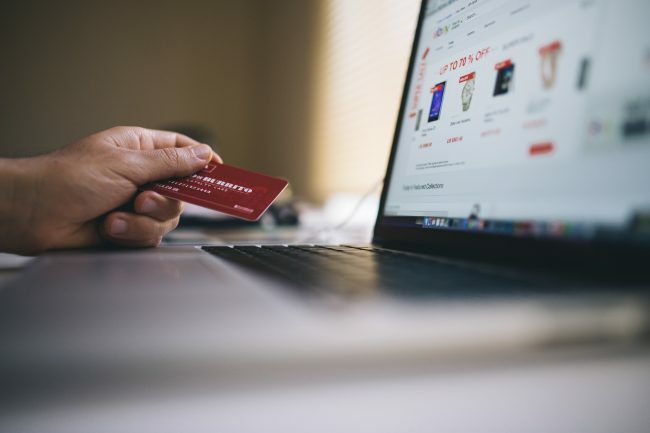 While there are Federal laws that protect consumer credit card fraud, there are differences regarding liabilities related to business expenses. While your business expenses liability may be capped, there is still the process of reimbursement from the financial institution that issued the card. This process can be lengthy. Your business will likely incur a variety of difficulties if your bank checking account is empty versus if your business credit card amount is frozen. Most business credit cards have some type of annual membership and insurance protection fees, particularly after the first year of membership. If you have the discipline to repay the outstanding balance on your business credit card during the no charge “grace period”, you will not incur interest expenses. Since your payments come from your business checking account, there would be no significant difference in your bank account statement at the end of the year. As mentioned, if you need to stagger payments to adjust your cash flow, or you are late in repaying your credit card, then the business credit card will likely cost more than the alternative of a business debit card. Business credit cards, unlike bank debt cards, generally offer some type of “reward program”, as a means of differentiation by the financial institutions. These reward programs consist of accrual of “points” that can then be used for travel, hotels, etc., and/or a rebate of a percentage of purchases. If you take advantage of the reward program, it can offer significant cost saving to your business. Advantage: Business Credit Card ONLY with extreme discipline in payment and reward program usage. Business credit card advantages versus a bank debit card can be significant for the disciplined small business owner. A business credit card is available from a wide selection of financial institutions, offers greater flexibility in use, strong protection against fraudulent usage and potentially neutral differences in cost if interest expense is not incurred due to late payments.